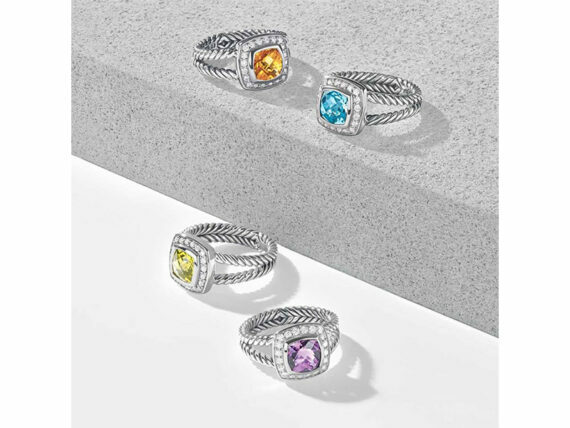 The eye of a sculptor, the love of a paramour, the stroke of an artist’s brush, and the strength of an engineer, critics say those elements embody the work of David Yurman (DY) and his family, creators of some of Earth’s most surprising jewelry and timepiece art. The Cable motif is his. 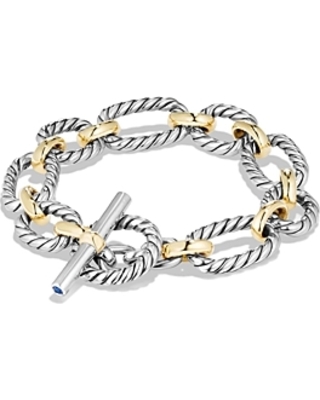 David Yurman (he says he was influenced by a dream) brought to life and light the often-imitated, never-surpassed, Cable element that is an icon design in jewelry today. 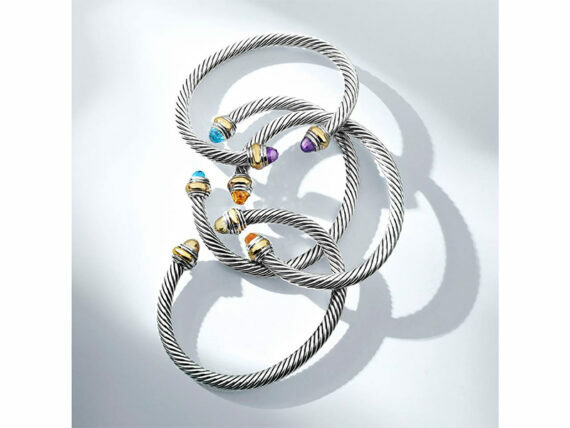 The Cable motif is the connecting element in the DY collections. The company has used the intricate, whirling pattern to craft bracelets, rings, necklaces, timepieces, and more. 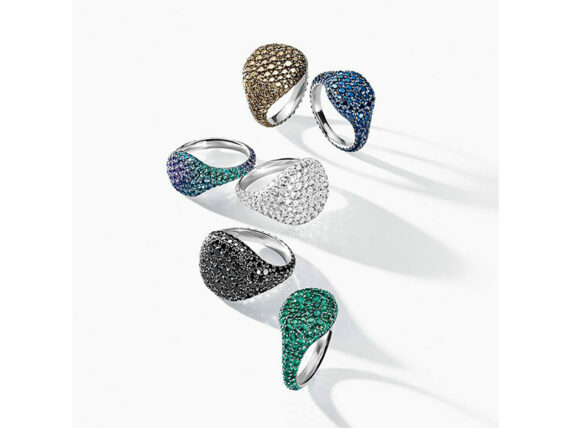 The Yurmans are travelers, a springboard for some of their DY designs. While a youngster, David hitchhiked from the Bronx in New York City to Big Sur in California. Trekking through the Southwest he gained an appreciation for Native American design that became an undercurrent for some of his art – especially for men’s jewelry. 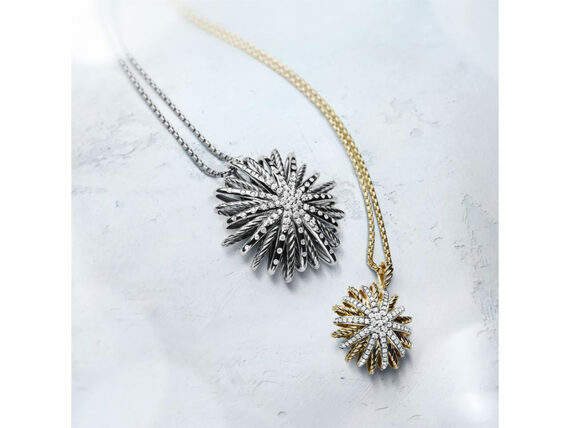 Much later, the Yurmans witnessed an intense fireworks display over the Eiffel Tower – that experience was the genesis of the spectacular Yurman Starburst collection. David Yurman is not only a company, but also a family. David’s wife, Sybil, was born only a few miles and a few months away from David’s birth place and birth time. Eventually, serendipity intertwined the two, like the Cable design, with love and art. A renowned painter, Sybil is a force in the design of DY offerings. Their son, Evan, also shines his creative light on the wide-range of DY collections that include offerings for women and men, weddings, timepieces, accessories, and high jewelry – and even items for children.